A long-time-coming story of actual innocence. 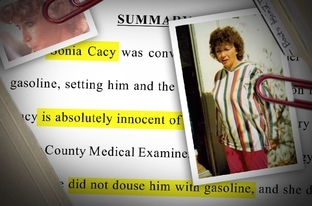 A judge has ruled that Sonia Cacy, a West Texas woman convicted of setting her uncle on fire, is innocent of murder, basing his decision on new analysis of evidence presented at her 1993 trial. Cacy had served five years of a 99-year murder sentence for the 1991 death of her uncle, Bill Richardson. The two were living in his Fort Stockton home when it caught fire. Prosecutors said Cacy had set her uncle on fire, also burning the home, to get the money he left to her in his will. But multiple experts — including the State Fire Marshal’s office — concluded that Cacy did not set her uncle ablaze. Some suspected that Richardson, a smoker, likely died of a heart attack and that the fire was accidental. Cacy was released on parole after The Texas Board of Pardons and Paroles received one of the reports, but her conviction was never lifted. The Pecos County District Attorney and the Bexar County medical examiner’s office had stood by the original investigation results. Judge Richardson’s ruling was largely based on a 2013 state Fire Marshal’s Office report that discredited trial testimony that there was an accelerant found at the crime scene. “The findings of the State Fire Marshal’s Office — a state organized and endorsed office — are the strongest evidence that no accelerant was present and that Bill Richardson likely died of a heart attack before being burned,” Judge Richardson wrote in a ruling that comes two years after Richardson first heard Cacy’s petition for relief in Fort Stockton. I have to admit, this story is not one I was familiar with. The link in the quoted bit above is to a Trib story from 2010, but it goes back much farther than that. Texas Monthly adds some details to what happened this week. It gets more ridiculous from there. Texas Monthly has three other stories about the history of the case, which as the second one notes was one of the driving forces in reforming how fire investigations are done in Texas and why old arson cases are being reviewed to see which ones relied on bogus, outdated investigative techniques. It’s a little jolting to see John Bradley’s name pop up in this discussion, but hardly surprising. And please, can we scrub the descriptor “law-and-order” from stories involving Bradley? We know full well by now that he was the opposite of “law-and-order” – he was an unscrupulous liar who worked tirelessly to keep innocent people in jail. The adjectives he deserves are all some variation on “disgraced”. Anyway, click on all the links and learn more about Sonia Cacy and how terribly wronged she was by the justice system. The fact that this wrong is finally being made right doesn’t change any of what happened in the past. The science behind DNA testing hasn’t changed, but for mixed samples, analysts now focus on fewer factors in their results before determining the odds of someone being at the scene. The findings are more conservative. The review was initiated by crime labs and coordinated by the state’s Forensic Science Commission. Prosecutors, defense lawyers and judges have joined the effort to comb through old cases, contact affected parties and, in some instances, halt the judicial process to ensure the science is up to date. The new results may have little or no bearing on a defendant’s guilt. But in a rare show of solidarity in the adversarial legal system, leaders of the state’s science, law enforcement and criminal-defense communities have banded together to deal with the problem. See here for the background. It’s great to see a proactive review of this change in how DNA mixtures are analyzed, to see what cases may need to be revisted, and it’s especially good to see Texas being a leader in that. None of this would be happening without the Texas Forensic Science Commission, which despite Rick Perry’s onetime efforts to neuter it to prevent any real scrutiny of the Todd Willingham case, has become an invaluable tool in criminal justice reform. The board charged with ensuring that reliable scientific evidence is used in Texas courtrooms agreed on Friday to investigate cases in which bite mark analysis was used to secure a conviction. The board voted to review bite mark cases to determine whether faulty evidence resulted in wrongful convictions after a presentation from Chris Fabricant, director of strategic litigation at the New York-based Innocence Project. Last year, the American Academy of Forensic Sciences conducted a study of forensic odontologists and concluded that the analysis could not even accurately determine which marks were bite marks. In 2009, the National Academy of Sciences published a report that concluded there was insufficient scientific basis to conclusively match bite marks. Additionally, the Jo Handelsman, the White House Office of Science and Technology Policy, has said that bite mark evidence should be eradicated from courtrooms. Bite mark evidence, Fabricant said, has contributed to 24 wrongful convictions nationally, including two in Texas. The Innocence Project is urging the commission to institute a moratorium on the use of forensic odontology in criminal cases. Dr. Nizam Peerwani, a commission member and the chief medical examiner in Tarrant County, said his agency abandoned the practice more than two decades ago. He recalled one instance in which a dentist identified a bite mark that turned out to be an injury from a crow bar. “We have no respect, absolutely no regard for bite marks,” Peerwani said. Grits has been on this for years. I’m a lifelong fan of crime fiction, and I know I’ve read more than a few examples of literary detectives using this technique. I’m surprised there are more cases that will need to be reviewed. Anyway, isn’t it amazing how much good work a body like the Forensic Science Commission can get done when people like John Bradley aren’t around to muck things up? Is there any valid evidence of Todd Willingham’s guilt left? The Washington Post has a long piece examining the connection between the jailhouse snitch whose testimony helped send Cameron Todd Willingham to death row and the prosecutor who has long denied taking any action to influence that testimony. Read the whole thing, it’s well worth your time. I sadly disagree with the suggestion that this revelation will have any effect on public opinion about the death penalty. I think people have long since factored in this possibility in their thinking, and generally conclude it’s an acceptable cost. People have been making the argument about possibly executing the innocent without much traction yet. Maybe the recent ghastly news out of Arizona about horribly botched executions will help move public opinion, I don’t know. I just don’t expect this to do much on that score. What I think this could do is spark a closer examination of how jailhouse snitches are used, much like the earlier revelations of bad investigative technique have spawned a real review of arson forensics and even a look at some other cases in which discredited methods were used to secure convictions. The cellmate to whom a defendant that is otherwise loudly proclaiming his innocence confesses fully to the crimes with which he is charged is practically a cliche, and often a too-easy convenience for overzealous prosecutors. If some kind of reform of that practice, or at least a heightened sense of skepticism when a jailhouse snitch is employed at trial, comes out of this, then at least some good will have resulted from Willingham’s needless and unjust death. Actually, there is one more thing that can come of all this. I must have missed it in the WaPo story, but in this Chron story about Willingham’s stepmother and biggest advocate, there’s more to this than just information. At 71, Eugenia Willingham has spent more than a third of her life trying to prove jurors were wrong when they condemned her stepson, Todd, for murdering his three young children in a deliberately set fire. Her faith in Texas justice fell as court appeals failed, then collapsed as ‑ after the 2004 execution ‑ seemingly well-crafted attempts to posthumously clear her son’s name were thwarted by the state. Now, the Ardmore, Okla., woman’s hopes again are rising as lawyers for the New York-based Innocence Project target the prosecutor in Todd Willingham’s case in a complaint to the State Bar of Texas. The complaint alleges former Navarro County assistant District Attorney John Jackson arranged for a jailhouse informant to testify against Willingham in return of special consideration in his own case. Then he tried to keep the deal secret from the judge, jurors and the defense attorney, according to the complaint. If the allegations are found true, Jackson, now in private practice, possibly could be disbarred. The complaint is the latest effort by Scheck’s organization to prove Willingham’s innocence. All of the elements in the WaPo story are contained in the complaint, so do read them both. If Ken Anderson and hopefully Charles Sebesta can be held accountable for their unjust actions, I see no reason why John Jackson can’t be, too. Maybe, just maybe, they’ll serve as examples for others to learn from. Grits and PDiddie have more. Lisa Falkenberg brings a fascinating and unexpected update to the story of John Bradley, the former Williamson County DA and Texas Forensic Science Commissioner who served as one of the main villains in the Michael Morton case. Since losing elected office, Bradley has tried to find work. In 2012, I wrote about him applying to lead the state’s Special Prosecution Unit. No one would take him. Until now. It seems Bradley has landed another prosecutor’s post. Not in Texas. Not in the United States. In the tiny Republic of Palau, where, according to several sources, Bradley has accepted a position in the attorney general’s office. The former U.S. territory of about 20,000 people in Micronesia was granted independence in 1994, and now operates in “free association” with the United States. Barry Scheck, co-founder and co-director of the New York-based Innocence Project, said he learned about Bradley’s new job in a mass email from Bradley’s wife. Rob Kepple, executive director of the Texas District and County Attorneys Association and a former colleague of Bradley’s at the Harris County District Attorney’s Office, said he hoped the island nation would provide a fresh start for his friend. Scheck, at the Innocence Project, echoed that sentiment. “He’s certainly going quite a few thousand miles away in order to reinvent himself and we’re all in favor of second acts in American lives,” Scheck told me Tuesday. Even Michael Morton maintained his graciousness when I asked what he thought about the prosecutor who wronged him returning to prosecuting. “I don’t wake up every morning gnashing my teeth and shaking my fist at, you know, ‘where’s John Bradley?’ I’ve literally and figuratively moved on,” he said. Morton’s Houston-based attorney John Raley, who worked the case for free, and fought Bradley at every turn as he tried to stymie Morton’s appeals, was a tad less gracious. Part of me thinks everybody, even John Bradley, has the right to make a living, to learn from mistakes and to get on with life after grievous errors. The other part thinks Bradley is still a danger to justice everywhere, even 8,000 miles away. I’ve said repeatedly on this blog that I’m a believer in redemption. It’s the Catholic in me – I may not be a churchgoer any more, but what I learned while I was stays with me and still shapes how I think. The thing is, as we Catholics also know, you can’t be absolved of a sin until you stop committing it. Other than one brief feint in the direction of acknowledging his responsibility in the Morton saga, John Bradley has never shown any indication that he thinks he did anything wrong. If it were up to him, Michael Morton would still be in jail, Ken Anderson would still be on the bench, and the evidence that exonerated Morton and ousted Bradley and Anderson would be in a box somewhere, if it hadn’t been destroyed. So count me in the tad-less-gracious group here. It’s fine by me if John Bradley wants to put his life back together, but he can do that outside the practice of law. Flip burgers, sell cars, groom dogs, dig ditches, paint houses – there’s tons of honest, dignified jobs John Bradley can hold that won’t put him in a position of power over someone’s freedom. If he truly wants redemption, he knows what he has to do to earn it. Grits, who is more gracious than I, has more. The Statesman writes about the aftermath of the GOP primary for District Attorney in Williamseon County where voters resoundingly threw out John Bradley. Michael Morton wasn’t on the ballot, didn’t campaign and didn’t back a candidate, but the recently exonerated former inmate cast a long shadow on the Williamson County district attorney race, becoming the key issue in the defeat of a once-popular John Bradley. Jana Duty, a 10-point victor in Tuesday’s Republican primary, made Morton a centerpiece of her campaign, focusing on Bradley’s decision to fight Morton’s 2005 request for DNA testing. It would take six years for a court to order tests that cleared Morton of the 1986 murder of his wife, Christine, and led authorities to another suspect, Mark Alan Norwood. Voters responded by turning out Bradley, Williamson County’s lead prosecutor for the past 10½ years and one of the state’s most prominent district attorneys. Political observers said Duty was aided by lingering resentment over Morton’s treatment, a superior campaign organization and votes from crossover Democrats drawn to the GOP primary by an opportunity to torpedo Bradley. And unlike prior years when Bradley made news by securing long prison sentences — accounts that played well with Williamson County’s conservative-leaning voters — this election cycle was punctuated by headlines involving controversy in and out of the courtroom. Beyond the Morton affair, Bradley also was criticized for his leadership of the Texas Forensic Science Commission, which was investigating the science used to convict and execute Cameron Todd Willingham for the arson murder of his three young daughters. One of Bradley’s leading backers, Dan Gattis Jr., said the Morton connection meant “everything” to the district attorney race. “Jana Duty’s whole campaign was tying him to the Morton case,” Gattis said, adding that the Morton case “humbled and matured” Bradley and would have made him a better DA. Instead, his handling of the Morton matter left him vulnerable to challenge. I’m pretty sure Michael Morton’s attorney John Raley would disagree with the assertion that Bradley was in any way changed for the better as a result of this experience. As people like Sen. Rodney Ellis and Scott Henson said back when Bradley was proclaiming that he had learned his lesson, actions speak louder than words, and Bradley’s actions were loud and clear. The voters made the right choice, and Bradley got what he deserved. Not that he has any need to fear for his future, of course. I’m sure his patron Rick Perry will find something for him to do, and if not there’s always the professional airing-of-grievances circuit. Don’t you worry about ol’ John, he’ll be just fine. The Trib has a good story about Williamson County DA John Bradley, whom you may recall as Rick Perry’s chief hatchet man on the Forensic Science Commission, and his apparent conversion to open-mindedness in the wake of the DNA exoneration of Michael Morton, who was convicted of murdering his wife in 1987 by Bradley’s predecessor and mentor, Ken Anderson. It’s a big scandal now because Anderson, now a district court judge, apparently withheld exculpatory evidence to the defense, and Bradley, as is his wont, fought against Morton’s attempts to get DNA testing done and unseal prosecution files for years before finally losing and learning how wrong he was to have fought. I have not followed this saga on the blog – you should read Eye on Williamson and Wilco Watchdog if you want the full story. Anyway, Bradley is now claiming to be a changed man as a result of this experience. In the last two years, Bradley and his trademark sharp tongue have been at the center of two of the most controversial murder cases in Texas. In 2009, as chairman of the Texas Forensic Science Commission, he and the New York-based Innocence Project battled aggressively over re-examining the case of Cameron Todd Willingham, the Corsicana man executed in 2004 for igniting the 1991 arson blaze that killed his three daughters. For six years, Bradley also fought the Innocence Project’s efforts to exonerate Michael Morton, who was wrongly convicted of murdering his wife under Bradley’s then boss in Williamson County 25 years ago. Bradley discovered that not only was he wrong all those years about Morton’s guilt, of which he had been so certain, but that there are serious questions about whether his predecessor may have committed the worst kind of prosecutorial misconduct: hiding evidence that ultimately allowed the real murderer to remain free to kill again. Bradley said he regrets that his opposition to DNA testing over the last six years meant more time behind bars for an innocent man. He also regrets sending letters to the Texas Board of Pardons and Paroles urging them to keep Morton locked away. Had he known then what he knows now about the Innocence Project and Scheck, he said he might have handled the Willingham case differently, too. This experience has taught him to be more open-minded, to try to see cases from both sides, he said. Bradley emphasized that his office is more open than his predecessor’s was. And in the future, when defense lawyers bring him cases to review, Bradley said, he will have a new perspective. Some of his critics, though, see Bradley’s contrition as too little, too late. And they note that he is facing re-election next year. They want more than words. “The jury is still out on whether those words will manifest themselves into real actions to help fix what is clearly a broken justice system,” said state Sen. Rodney Ellis, D-Houston, chairman of the Innocence Project. I’m as big a believer in redemption as the next person, but talk is cheap. I agree with Sen. Ellis and Henson that it’s what Bradley does next that will determine if he means this or is just hoping to deflect a weapon that will surely be used against him in the 2012 election. A phone call to Craig Watkins for advice on how to go about ensuring the integrity of past convictions would be a good start. There’s a lot Bradley can do to try to atone and get right with the universe. It’s up to him to do it. Link via Grits, who has more here. It’s time to move to the next phase and make something good happen. A state investigation into the science used to convict and execute Cameron Todd Willingham came to a quiet close Friday, but its results might echo across the justice system and the nation’s death penalty debate for years to come. Making final changes to its report on the Willingham case, the Texas Forensic Science Commission signed off on a document acknowledging that unreliable fire science played a role in the Corsicana man’s conviction for the murder-by-arson deaths of his three young daughters in 1991. He was executed in 2004. That’s likely to be the only acknowledgement of such, at least for the foreseeable future. It’s not enough, but Willingham’s family has accepted it. Since his 2004 execution, Willingham’s family has continued a fight to prove his innocence. Willingham’s cousin, Patricia Ann Willingham-Cox, thanked the commission for its work. The agency’s final report includes a commitment from the state fire marshal’s office — whose investigator was the chief prosecution witness at Willingham’s trial — to review old arson rulings to determine whether convictions were based on now-debunked assumptions. The Innocence Project of Texas will provide most of the heavy lifting — about 40 forensic science and law students — to help the fire marshal identify and review old arson cases, said Jeff Blackburn, chief lawyer for the Texas nonprofit legal organization. Saloom commended the commission for acknowledging that the scientific understanding of fire behavior has vastly improved over the past 20 years — and for listing now-debunked arson indicators in its final report. That action might ensure that unreliable science no longer taints arson investigations in Texas and could serve as a model for other states grappling with the issue, Saloom said. Hard to know exactly how many cases there will be to review, though the Texas Observer has a few suggestions for where to start. Really, the question is not about finding bogus convictions, but whether the prosecutors involved will accept the findings or cling to their discredited evidence and fight them on the grounds that having a “final result” and “respecting the jury’s verdict” is more important than an innocent person rotting in jail. There’s no shortage of the latter, after all. The last shovelful of dirt is thrown. The Texas Forensic Science Commission’s investigation of the science used to convict Cameron Todd Willingham — executed in 2004 for an arson that killed his three children — may be at an end after the state’s top attorney Friday ruled that the panel cannot consider evidence in cases older than 2005. Attorney General Greg Abbott’s ruling is the latest development in the years-long controversy over the commission’s handling of the high-profile case. Advocates on both sides of the issue claimed the ruling as a victory, though it does narrow the scope of what the commission is allowed to investigate. The commission’s former chairman, Williamson County District Attorney John Bradley, said the decision vindicated his argument that the commission did not have jurisdiction to investigate evidence in cases that occurred before lawmakers created the panel in 2005. Bradley had asked Abbott to rule on three issues: the broadness of the term “forensic analysis”; whether the Willingham case was in the commission’s jurisdiction; and if the commission could only investigate work done at labs accredited by the Department of Public Safety. In his ruling, Abbott wrote that while the commission may investigate incidents that occurred before its creation in 2005, the law prevents it from considering evidence that was gathered or tested before that date. The commission’s authority also is limited only to DPS-accredited labs, Abbott wrote. And, the commission may not investigate fields of forensic science that are specifically excluded in the state’s code of criminal procedures. Bradley said the ruling should close the commission’s investigation of the Willingham case, because it involved a fire that happened in 1991. “I think much of this involved distractions created by outside entities that had a different agenda, trying to read into this something that wasn’t there,” he said. Yes, John Bradley successfully completed his mission to ensure that no official review of the Willingham case ever takes place. You’d think that given the extreme confidence that he and his patron Rick Perry have publicly professed about Willingham’s guilt that they would welcome any review, as it would only serve to prove them correct. I guess bravado has its limits. It really is amazing how much effort was expended to keep eyes and hands off of this case. You don’t have to know anything more about the case to wonder just what it is they’re so afraid of. Those that have pushed for the Forensic Science Commission to keep doing the work it was created to do will keep pushing for it. Stephen Saloom, policy director for the Innocence Project, said that although Abbott’s ruling limits the action the commission may take, it should not end the work on the Willingham case and others. He said the Fire Marshal’s office continued to use questionable arson investigative techniques after 2005, and the ruling makes clear that the commission has jurisdiction over those cases. And, Saloom said, the ruling doesn’t absolve others in the criminal justice system from their duty to investigate old cases in which questionable science was used. “The AG opinion is absolutely without effect on the rest of the criminal justice system’s legal, moral and ethical responsibility make sure justice be done in all past arson cases,” he said. State Sen. Rodney Ellis, D-Houston, is chairman of the Innocence Project and helped write the 2005 law that created the Forensic Science Commission. He said the ruling should not stop the Willingham investigation or prevent the commission from issuing a ruling that the Fire Marshall was negligent when it did not inform prosecutors and courts that it had used flawed science. It remains the case that ensuring that law enforcement agencies today are using valid forensic methods is the top priority. But there’s still a lot of people sitting in jail today that were convicted on bogus arson evidence. We owe them something that this opinion makes them much less likely to receive. Sen. Ellis’ full statement is beneath the fold. Dr. Nizam Peerwani, the newly appointed Chair of the Forensic Science Commission, gets profiled in the Trib. Most of the story is about the history of the Willingham case, which the Commission finally sort of dealt with last year. With a smile and a friendly laugh, Dr. Nizam Peerwani offers coupons for free autopsies to visitors to his office. Death and the science of it have dominated Peerwani’s 30-year career in the Tarrant County medical examiner’s office. Now, Peerwani is taking on a very live controversy as chairman of the Texas Forensic Science Commission: the continuing investigation into the arson science that led to the conviction and 2004 execution of Cameron Todd Willingham. “His background and his temperament give him the unique ability to make sure the commission is focused on the science of forensics instead of the science of politics,” said Sen. Rodney Ellis, D-Houston, who helped created the nine-member commission in 2005. In April, three years after it began its investigation, the commission published some of its findings. It made significant recommendations to improve future arson investigations, but did not decide whether the Willingham arson investigators were professionally negligent, which was its original charge. Commissioners declined to rule on that until the Texas attorney general decides whether the panel has jurisdiction to investigate cases including Willingham’s that occurred before its creation in 2005. A ruling is expected by the end of this month. Barry Scheck, co-founder and co-director of the Innocence Project, said he was heartened by Peerwani’s appointment. Early on in the Willingham investigation, Peerwani agreed with other experts that not only was the science faulty but that forensic examiners had an ethical duty to inform prosecutors of potential flaws in their work. That, Scheck said, gets at the heart of the matter. When the Innocence Project asked the commission to review the Willingham case, the main purpose was to establish whether the science used was faulty. And if it was, to find other cases in which the same faulty science might have led to wrongful convictions. If the attorney general rules that the commission cannot review older cases, he said, an unknown number of inmates convicted based on so-called junk science will have little opportunity to seek justice. Obviously, almost anyone would have been an improvement over professional hack/Perry toady John Bradley, but the reactions from folks like Scheck and Sen. Ellis are especially encouraging. This really is supposed to be about evaluating procedures to ensure that they’re rigorous and not a bunch of handed-down folk tales. If the FSC pursues that, and doesn’t get needlessly blocked from reviewing old cases, it will be a major step forward, if only to get us back to where we were always supposed to be. The new SBOE Chair is not who I expected. State Board of Education member Barbara Cargill, R-The Woodlands, will take the helm as the board’s new chairwoman, Gov. Rick Perry announced Friday. She will follow Gail Lowe, who was appointed chairwoman two years ago but did not win Senate confirmation during the just-concluded legislative session. Lowe, who returns to her seat as an elected member of the board, also got the position when her predecessor, Don McLeroy, failed to get Senate confirmation in 2009. I figured Perry would pick David Bradley. I’m sure he has his reasons for going a different route. Cargill is part of the same social conservative bloc, but off the top of my head I can’t think of anything horrible she’s done. Fortunately, we have the Texas Freedom Network to keep track of these things, and their Cargill files can be found here. We’ll see if she can break the streak of non-confirmed SBOE Chairs; she has nearly two full years to convince the Senate that she’s not just another nutjob. Meanwhile, Perry also named a new Chair of the Forensic Science Commission. Gov. Rick Perry today announced he has appointed Dr. Nizam Peerwani, a well-known Fort Worth medical examiner, to lead the Texas Forensic Science Commission. Peerwani, who has served on the commission since 2009, will replace Williamson County District Attorney John Bradley as leader of the panel that has been embroiled in controversy practically since its inception. Bradley, a law-and-order prosecutor, failed to win Senate confirmation during the legislative session that ended last month. Well, at least he’s a scientist. The Commission could use more of a scientific influence these days. I presume Dr. Peerwani will need to be confirmed as Chair as well in 2013. At this time, I have no particular reason to believe that he will have any difficulty with that. At least, I sure hope that’s the case. Grits has more. Time for some new chairpersons. Gov. Rick Perry’s appointments of John Bradley as head of the Forensic Science Commission and Gaile Lowe as State Board of Education chair are officially toast, Senate Nominations Chairman Bob Deuell, R-Greenville said. “They’re sine die with the rest of us — except they won’t have to come back for a special session,” Deuell said Wednesday after submitting his last round of Perry appointees for Senate consideration. Since they weren’t confirmed, the appointments of the two chairs will end when the regular session draws to a close Monday. In the case of John Bradley, that’s almost certainly a good thing. Perry can replace him with another hack, of course, but it’s hard to imagine anyone doing more damage to the Forensic Science Commission than Bradley did. As for Lowe, well, there is still another level of absurdity that can be achieved. And two years from now, we’ll go through this again. Grits has more. Dave Mann reads the Willingham report from the Forensic Science Commission so you don’t have to. The commission’s nearly 50-page report—the product of a high-profile, frequently stalled investigation—is an odd mix. It documents at length the flawed state of fire investigation in Texas and details in general terms the kinds of outdated evidence that led to Willingham’s 1992 conviction for starting the house fire that killed his three daughters and eventually led to his 2004 execution. In that sense, it confirms the opinions of nine national experts who have examined the case and found no evidence of arson. The report also makes 17 recommendations on how to improve the level of fire investigation in Texas. And, most importantly, it urges the Texas Fire Marshal’s Office to reexamine older arson cases for similar flaws. Yet for all its documentation of general problems with arson evidence, the report rarely connects these flaws directly to the Willingham case. In fact, the report sidesteps two of the central questions: Were the original fire investigators on the Willingham case negligent and did the Fire Marshal’s office have a duty to inform the governor or the courts prior to Willingham’s 2004 execution that the evidence in the case was no longer reliable? So what do we make of this schizophrenic document? Willingham’s relatives—his stepmother Eugenia Willingham and his cousin Patricia Cox—pronounced themselves satisfied with the commission’s work. “What this commission has done will have a significant impact on the justice system,” Cox said. Indeed, among the report’s 17 recommendations is much-needed reform. The commission recommends improving training and certifications for fire investigators and ensuring that training curriculum include fire science and fire dynamics. It recommends the Fire Marshal’s office conduct internal audits and create a peer review team to monitor the quality of its fire investigations. The report also recommends requiring lawyers and judges take continuing education classes focused specifically on forensic science. Perhaps most importantly, it urges the Fire Marshal’s office to reexamine older cases. As I’ve written before, many of the 750 people current in Texas prisons on arson convictions may be innocent. The state desperately needs an official inquiry into older arson cases. Unfortunately, the FSC doesn’t have the power to do more than urge the Fire Marshall to act, and there’s still an inquiry into the AG’s office to determine just what authority the Commission has. That will be John Bradley’s parting shot. This probably was the best report we could have gotten given Bradley’s endless meddling. Maybe with the Willingham matter more or less settled and no election looming, Rick Perry will appoint someone less egregious as Bradley’s replacement. Yeah, yeah, I know. A draft report issued today by the Texas Forensic Science Commission on the evidence used to convict and execute Cameron Todd Willingham focuses on training and education initiatives for fire investigators and makes several suggestions for continued improvement for investigations. The report, as expected, takes pains to say that it does not comment on Willingham’s guilt or innocence. It does not reach conclusions about the performance of arson investigators. It acknowledges that fire science has improved since the 1991 fire that killed Willingham’s three young daughters and lays out some of the modern scientific understanding of fire behavior on questionable findings in the Willingham investigation. The commission will discuss the draft report at its two-day meeting in Austin, which begins today at 1 p.m. and continues tomorrow morning. Commission members have insisted that their investigation would focus on the science and say nothing about the guilt or innocence of Willingham. The report is linked above; I have not had a chance to wade through it yet. I am disappointed that it did not draw any conclusions about the performance of the arson investigators from that fire, though I suppose one couldn’t do that without also addressing the innocence question. If the end result of all this is that the state Fire Marshall continues to defend that investigation with impunity, then this all really was a waste of time, and John Bradley can walk away with a clean victory for his lord and master Rick Perry. We can never improve if we’re not willing to admit when we make a mistake. We’ll see how it goes when the Commission takes this up. The Trib has more. John Bradley won’t get confirmed by the Senate as the Chair of the Forensic Science Commission, but that’s all right. The purpose for which he was put on the Commission by Rick Perry is about to be fulfilled. Perry, who refused to block Cameron Todd Willingham’s lethal injection in 2004, appointed Williamson County prosecutor John Bradley to take over the forensics commission and the Willingham case in 2009, just days before the panel was to hear a fire expert’s critical report of the original investigation. Once in charge, Bradley took steps to slow down the panel’s work and has pushed members to find there was no misconduct by fire investigators in the original 1991 investigation. The forensics panel is scheduled to meet April 14-15 to consider its final report on the case. GOP Sen. Bob Deuell, chairman of the nominations committee, told The Associated Press that he has been holding Bradley’s doomed nomination without a Senate vote in part to allow him to preside over that meeting. Bradley doesn’t have enough Senate support for confirmation, and he’d be immediately forced out of his job on the forensics panel if he was called up for a vote and lost, Deuell said. If there is no vote, Bradley serves until the legislative session ends in May. This critic thinks Bradley deserves the public dope slap that a failed confirmation vote would represent. So does Sen. Rodney Ellis, who was quoted as such later in the story. That said, I do understand Sen. Deuell’s position, and let’s be honest, if the Willingham case remained unresolved Rick Perry would just name another hatchet man to finish the job. Hell, for all we know he’d name David Bradley to fill that slot as well. Nobody has any illusions about Bradley’s role on the Commission, and nobody with any integrity will accept a whitewash from him, regardless of what the record will say. Let’s get this over with and move on. Thanks to Grits for the link. The Statesman has a good story about former Deputy State Fire Marshal Manuel Vasquez, whose testimony helped convict Cameron Todd Willingham, and the status of the Willingham case with the Forensic Science Commission. Spurred by John Bradley, the Williamson County prosecutor who was appointed chairman by Gov. Rick Perry midway through the case, the commission has asked Attorney General Greg Abbott to determine whether it has jurisdiction to investigate the Willingham case. Legal briefs were due last week, and Abbott’s opinion is due by July 30. • Was the arson finding based on valid science? • Were fire officials negligent in their investigation and trial testimony? In the spotlight is Vasquez, who had 30 years of firefighting experience, including 17 years as an investigator, when he told jurors that he had discovered numerous signs of arson at Willingham’s house. But thanks to improved scientific understanding of fire behavior, it is now known that Vasquez was wrong about several key points. Those two questions have always been what the Forensic Science Commission is all about. We can’t fix problems that we don’t acknowledge that we have. By now it’s clear that the answer to question 1 is no, not at all. The answer to 2 is less clear, but I for one would feel better about absolving the State Fire Marshall of any blame for their ruling at the time if they would quit defending the original ruling of arson and admit that they know more now than they did then. How can we have any faith they’re not still doing it wrong if they won’t own up to it? Anyway. 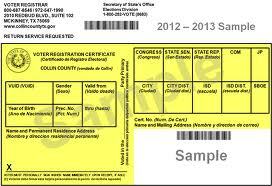 If the Bradley nomination truly is dead, then he will be off the Commission by the time AG Abbott makes his ruling. If so, and if Abbott doesn’t continue the hatchet job for Bradley, we may finally be able to put this matter to rest. It never should have taken this long, but better late than never. Sen. Kevin Eltife, R-Tyler, said he is against Bradley’s nomination because of his controversial tenure as chairman of the commission. The exchange with [Sen. Rodney] Ellis is “only the latest example,” he said. I’m not sure which is my favorite part, the fact that he’s going down or the fact that he has no one to blame for it but himself and his arrogant, obnoxious attitude. The only bad news in this is that as the story notes Bradley would still be chairing the Commission on April 15, when it next meets to possibly take action on the Willingham case. As such, Bradley would have one last chance to fulfill the mission he was given by Gov. Perry, to permanently undermine any effort to examine and fix what went wrong in that case and set standards for arson investigations in the state. If he had any honor, he’s recognize the position he’s in and step down now, so that someone who could be confirmed can be nominated. But then if he had any honor he wouldn’t be in the position he’s in. In a bid to diffuse a partisan showdown, the name of Williamson County District Attorney John Bradley was temporarily stricken this morning from a list of nominees to be submitted to the full Senate for confirmation. Nominations Committee Chairman Robert Deuell, R-Greenville, said [earlier] that he plans to submit the list of Monday’s nominees to the Senate for approval — possibly as early as tomorrow — but without Bradley’s name. “I’m pulling him off the list for now, yes,” Deuell said. “I want to let things settle down, and then see where we are. If we put him out there now, they (Democrats) would sever him (from the rest of the nominees) and block him. Though pulled off of the current list sent to the Senate, Deuell said Bradley’s name could be submitted for confirmation at any time. Three other nominees to the Forensic Science Commission that were approved by the committee on Monday will be forwarded on for Senate confirmation now, Deuell said. More here. Lt. Gov. Dewhurst is lobbying for Bradley, but there’s not enough lipstick in the world for this pig. Block away, Democrats. Burka has more. The Senate Nominations Committee voted 4-2 today to recommend approving state forensic board chairman John Bradley’s appointment. Sens. Jose Rodriguez, D-El Paso, and Kirk Watson, D-Austin, voted against Bradley’s nomination. Four Republicans voted in favor; other, less-controversial nominees were approved unanimously. State Sen. Rodney Ellis landed a few blows on Bradley, which I’m sure made for entertaining viewing. The full Senate still needs to confirm Bradley, and as with Don McLeroy and the SBOE last session, I would not at all be unhappy with his nomination being blocked by the Democrats. Frankly, I think Grits’ suggestion that the Forensic Science Commission pick its own Chair has a lot of merit. Perhaps there’s room for a deal in there. Dave Mann has more. Senator Rodney Ellis (D-Houston) today urged the Texas Senate to reject the nomination of Williamson County District Attorney John Bradley for the remainder of his term as Chair of the Texas Forensic Science Commission. The Senate Nominations committee voted 4-2 to send Mr. Bradley’s nomination for consideration by the full Senate. In 2005, the Legislature created the Texas Forensic Science Commission to restore public faith in forensic evidence following the discovery that a series of serious errors called into question evidence in hundreds of cases across the state. The commission is yet to complete a single investigation. In 2009, just as the Commission was poised to begin completing its first investigation — a review of the evidence used to convict and sentence to death Todd Willingham — Mr. Bradley was appointed Chair of the Commission. The Commission is still yet to complete any investigation. After boasting that he knew nothing about the Commission, Mr. Bradley’s first move was to unilaterally cancel that meeting, stunning the public and policymakers, as well as his fellow Commission members. According to press reports, Mr. Bradley then ordered all Commissioners to delete their Commission-related emails, and declared that he wouldn’t let the Commission meet until he had time to learn more about it. Mr. Bradley displayed a shocking lack of objectivity in his work by declaring to the press that “Willingham is a guilty monster,” a clearly inappropriate statement from the Chair of a state Commission tasked to provide independent, expert investigations of allegations of forensic negligence or misconduct. Governor Rick Perry’s appointees to the Texas Forensic Science Commission are up in the Senate Nominations Committee [today]. Senators should use the forum to force Commission Chairman John Bradley to answer all the questions he’s dodged in the past – especially about the ways in which he’s delayed or shut down all the Commission’s activities after his appointment in 2009. The other commissioners who are up IMO have done a good job; even if I haven’t always agreed with them on every jot and tittle, I’ve never once thought they were acting in bad faith. That hasn’t always been true of the chair. Bradley is a shameless, lying hack, who was appointed by Governor Perry for the sole purpose of obstructing and emasculating the Forensic Science Commission, primarily but not exclusively relating to the Cameron Willingham case. Bradley has fulfilled Perry’s every expectation, while making a mockery of what should be an objective, scientific committee. He deserves to get nailed to the wall by the Senate, especially by Sen. Whitmire. Please don’t miss this opportunity, Senators. Can we please get back to the basics? Adding an unexpected twist to its investigation of the science used to convict and execute Cameron Todd Willingham for arson murder, the Texas Forensic Science Commission voted Friday to seek an attorney general opinion on the limits of its jurisdiction. The commission is examining allegations, made by fire scientists and the Innocence Project of New York, that investigators relied on bad science and poor techniques to conclude that Willingham intentionally set fire to his Corsicana home in 1991, killing his three young daughters. The City of Corsicana and the state fire marshal’s office, however, have long complained that the commission lacks the authority to examine their investigators’ actions and conclusions. On Friday, as they contemplated drafting a final report in the Willingham matter, the nine commission members voted unanimously to ask Attorney General Greg Abbott’s office to determine whether Corsicana and the fire marshal are correct. “It’s been the elephant in the room the entire time,” Commissioner Lance Evans said after the meeting in downtown Austin. Evans made the motion to seek Abbott’s opinion. In the meantime, commissioners vowed to continue working toward a final report. “I certainly think we could make findings … on the state of fire investigation back at that time, the evolution of fire investigation up to the present day and where mistakes might have been made,” said Evans, a Fort Worth defense lawyer. To the best of my recollection, the FSC was created for two purposes. First and foremost, to evaluate the forensic techniques being used by Texas law enforcement agencies, to see if they were sufficiently modern and grounded in scientific principles for use in a courtroom. Second, if the answer to question 1 was “No” for something, to recommend standards that would then be adopted voluntarily or via legislative coercion if necessary. In the case of arson investigations, the clear and overwhelming answer to question 1 is “No”. If we had a commission chair, or a governor that’s responsible for appointing the commission chair, that cared about anything other than politics, we might be able to get to part two. But we don’t, so we’ll just keep wasting everybody’s time until either the Lege steps in (for good or for ill) or we all get too bored and frustrated with the process to give a damn about it. Grits has more. If you were hoping the state of Texas would be open to changing how arson investigations should be done, then the hearing was a disappointment. Still, some good things happened. Speaking at a special meeting of the Texas Forensic Science Commission, which is examining the science used to convict Willingham, the invited experts had little positive to say about an investigation they characterized as incomplete and investigators they criticized for improperly jumping to unjustified conclusions. But the commission also heard from an official in the state fire marshal’s office who stood by the arson conclusion, saying it was reached after a thorough, professional investigation and supported by the evidence. Assistant State Fire Marshal Ed Salazar admitted that in the years since 1991, science has determined that some of the evidence used to convict Willingham does not necessarily point to arson. But, he said, tests that found a combustible liquid under the front door and the presence of certain burn patterns support such a finding. Fire Marshal officials appeared before the Texas Forensic Science Commission at a hearing in downtown Austin to publicly answer questions for the first time about their handling of the Willingham case. Assistant Fire Marshal Ed Salazar told the commissioners today that his office stands behind the Willingham investigation and its conclusions. In the past 15 years, scientific experiments have proved false many of the old assumptions that fire investigators relied on, including many in the Willingham case. But no matter. Salazar said if this case were being probed today, his office might reach similar findings. That’s a scary thought. For instance, Salazar showed photos of burn patterns on the floor of the Willingham house that were labeled “pour patterns.” Investigators alleged this is where Willingham poured an accelerant to start the blaze. Salazar contended that even under today’s standards, pour patterns can be potential evidence of arson. In reality, scientists now know that after a fire goes to flashover stage, which this fire did, investigators can glean very little information from the burn patterns on the floor. That’s because during flashover, the fire will scorch the floor. So after flashover, burns on the floor tell you nothing about how the fire started. Undeterred, Salazar plowed ahead. He said Vasquez had followed the scientific method and drawn proper conclusions. “[The finding of arson] is a judgment call ultimately coming down to opinions.” The fire scientists might assert that fire investigators relied on their opinions for too long rather than verifiable scientific fact. Reading this, I can only hope I’m never called to serve on a jury in an arson case, because I’d have to tell the judge that I would be unable to vote for conviction because I have no faith in the state’s ability to determine whether or not arson was actually the cause. Before the Willingham case distracted everybody, the purpose of the Forensic Science Commission was to evaluate the methods being used in (among other things) arson cases. If nothing else, it is now crystal clear that the state of Texas does not believe in using science when investigating suspicious fires. If the Forensic Science Commission does not make strong recommendations for how to fix this, then everything it has done will have been a waste of time and effort. Given the number of people currently sitting in jail because of questionable arson convictions, that would be a bigger tragedy than the Willingham case. Grits, who also attended, provides a detailed writeup as well. As you’re reading this, Steve Mims and Joe Bailey Jr. are putting the finishing touches onIncendiary, a new documentary about theCameron Todd Willingham case that focuses almost entirely on forensics — on the science behind arson investigations like the one that led to the Corsicana man’s arrest, conviction and execution following the death of his three small children in a 1991 house fire. Mims and Bailey aren’t political activists; the former lectures in the University of Texas’ Department of Radio-Television-Film, while the latter is a graduate of UT’s law school. But they were so moved by an article about the Willingham case in The New Yorker that they decided to tackle one of the most controversial topics in the modern era of state’s criminal justice system. Featured in the film are two arson science experts, Gerald Hurst and John Lentini, talking about the case and about forensics in general. Willingham’s original defense attorney, David Martin, also gets a lot of screen time — although, given his skepticism about any wrongdoing by the authorities, he could easily be mistaken for a prosecutor. Barry Scheck, co-director of the New York-based Innocence Project (and best known as a member of O.J. Simpson’s criminal defense team), plays a leading role as well. But the breakout performance is that of Williamson County District Attorney John Bradley, who was appointed by Rick Perry to chair the Texas Forensic Science Commission just as the commission and its previous chair were inconveniently set to weigh in on the Willingham case during the gubernatorial campaign. Bradley is combative, bordering on hostile, from the moment he appears in Incendiary, both in his dealings with the press and with his fellow commissioners. There’s an 8-minute preview at the Trib link, which is well worth your time to watch, plus a brief Q&A with the filmmakers. I look forward to seeing the finished product. It’s a truly beautiful thing to see the guy who was brought in to the Texas Forensic Science Commission for the express purpose of protecting Governor Perry’s political interests wail and moan about the Commission becoming a “political football” now that it’s clear he cannot control the other commissioners. The strategy, hatched back when Perry was in a competitive primary, was to delay the potentially explosive stuff until after the elections were over, when no one would be paying attention any more. You have to wonder at this point if Perry had just let nature run its course if the worst of this would be all behind him by now. Instead, things are still coming to a head, and his designated fixer has lost the handle. Somewhere, Machiavelli is shaking his head and muttering about “amateurs” under his breath. The DMN editorial board has more. When seven [members of the Texas Forensic Science Commission] met at a hotel near Dallas’ Love Field, the ostensible goal was to finalize their report on the Willingham case. But from the start, the forensic scientists on the panel fought Bradley at every step. By the end, the tenor of the meeting had changed entirely. What was supposed to have been the end of the Willingham probe now seems just the beginning. Indeed, commissioners today talked openly of digging into the systemic problem with arson cases. That’s a subject I’ve been writing about for two years, and it was a remarkable to hear commissioners move beyond Willingham to look at the wider problem. Several commissioners even suggested a wide-ranging re-examination of arson cases in Texas from the past 20 years. That was a stunning development given how the day started. The day started, of course, with Rick Perry’s hand-picked fixer attempting to ram through a report, written by himself of course, that took the state Fire Marshall off the hook for its shoddy work in 1991 and declared that there was nothing more to see here. The commissioners had none of it, and in the end carried the day. Read the whole thing, as Saloom says it’ll give you hope that something useful may yet come out of this melodrama. Oh, give it up, already. The State Fire Marshal’s Office stands behind its controversial conclusion that Cameron Todd Willingham started the house fire that killed his three children in 1991, contradicting arson experts and scientists who insist the agency relied on bad science in its investigation. In a pointed letter to the Texas Forensic Science Commission, which is nearing the end of a contentious review of the Willingham arson investigation, Fire Marshal Paul Maldonado defended his agency’s handling of the case that led to Willingham’s execution in 2004. In July, the commission announced a tentative finding that investigators employed “flawed science” — including now-debunked beliefs that certain fire behaviors point to arson — to conclude that Willingham intentionally set fire to his Corsicana home. But Maldonado said his agency’s investigation remains valid, even after modern, scientific arson standards are applied. Maldonado, who became state fire marshal in 2004 after rising to assistant chief for the Austin Fire Department, acknowledged that his agency used many of the principles and practices espoused by NFPA 921 when Vasquez — who died in the mid-1990s — investigated the Willingham fire. The attachment also suggested that commission members take into account that Vasquez’s conclusions were based on a personal review of the fire scene and interviews with Willingham, who offered conflicting accounts of the fire. I know it’s hard to admit to a mistake, but this is just sad. Many, many experts have examined the Willingham evidence, and none of them have agreed with this assessment. One might also argue that the “personal review” of the fire scene isn’t an advantage, as it may have made the investigators at the time too close to it. Three little kids died in that fire – that’s got to have an effect on the people who were right there to examine the scene. What Willingham said in the interviews also shouldn’t matter as far as the physical evidence goes. What he says may be confirmed or contradicted by what is found at the scene, but it can’t be determinative. That’s a job for the prosecutor, not the investigator. The Commission meets today to finally discuss the Willingham case. They’ve already heard some grievances from a couple of Senators. The senators wrote that more than 225 people each year are sent to Texas prisons on arson convictions, and more than 700 current prisons are serving time for arson. “Texans need to be confident that the flawed science used to convict and execute Mr. Willingham wasn’t used to wrongly imprison many others,” they wrote. We ought to know once and for all if the Commission will do the job it’s supposed to do or if it needs to be taken back to the Lege for an overhaul. I fear a whitewash is coming, but at least that will serve to clarify the issue. And who knows, maybe we’ll see another revolt by Commission members. Stranger things have happened. Dave Mann has more. I guess I wasn’t expecting this. A majority of the Texas Forensic Science Commission has tentatively concluded that there was no professional negligence or misconduct by arson investigators whose flawed work in a fatal Corsicana fire contributed to the conviction and 2004 execution of Cameron Todd Willingham. It would be wrong to punish investigators for following commonly held beliefs about fire conditions that are known, in hindsight, to be invalid indicators of arson, said John Bradley, chairman of a four-member panel reviewing Willingham’s case. “We should hold people accountable based on standards that existed when they were working on these things,” Bradley said during the commission’s quarterly meeting Friday. All four members of the investigative panel agreed with the preliminary finding, which was reached during two meetings that were closed to the public, said Dr. Sarah Kerrigan, a forensic toxicologist and director of the Sam Houston State University crime lab in Huntsville. “The panel unanimously felt the science was flawed by today’s standards, but the question for us was, was there professional negligence or misconduct?” Kerrigan said, adding that scientific arson standards — though adopted nationally in 1992, the year Willingham was convicted — had not filtered down to the front-line investigators in Texas. Instead of focusing on the fire investigators, Scheck implored commissioners to analyze the state fire marshal’s office , which he said adopted scientifically based standards for determining when a fire is arson yet failed to reinvestigate hundreds of arson convictions obtained from investigations now known to be flawed. In the end, commissioners voted to give Scheck and other interested parties three weeks to submit objections to the proposed finding. It’s well known that many other arson convictions are based on the same shoddy “science” that got Willingham executed. If there’s no action taken to review those convictions – if the Forensic Science Commission doesn’t force the issue in whatever fashion it can – then I don’t see the point of what they’re doing. I know this wasn’t the original intent behind the creation of the FSC. Time to schedule another committee hearing, Sen. Whitmire. Grits and the Chron has more. UPDATE: Dave Mann, who has reported extensively on arson forensics, weighs in.